XCry ransomware is a file locking malware that encrypts all data with the help of AES encryption cryptography and then demands a ransom to be paid for the key. The virus targets documents, .zip, video, audio, picture, databases and appends .xcry7684 file extension after the encoding procedure is complete. XCry virus then performs substantial changes to the system and immediately contacts C&C server that is controlled by malware authors. 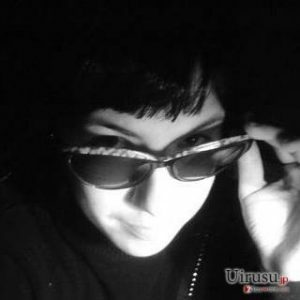 By doing that, the virus uploads the unique key to the remote server and uploads the ransom note HOW_TO_DECRYPT_FILES.html which explains the situation to the victims. The brief note, hackers urge users to find the encryption key inside the APPDATA folder and send it to funnybtc@airmail.cc to receive further instructions. Distribution The virus uses typical ransomware distribution techniques, including spam emails, brute force attacks, fake updates, repacked or hacked executables, torrent files, etc. Distribution method of XCry ransomware does not differ much from similar malware. Cybercriminals use many different techniques to make users to install the malicious payload themselves and sometimes rely on vulnerabilities or weak passwords. 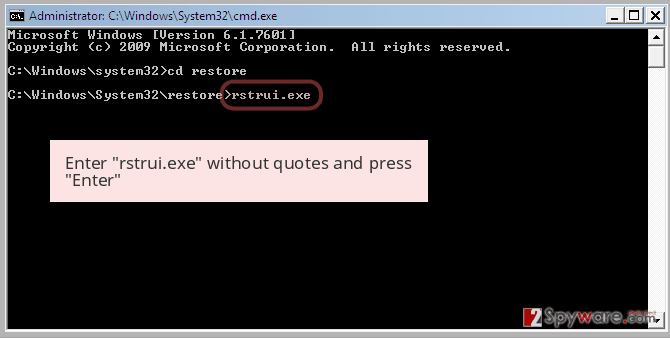 The latter is called brute-forcing and has become more prominent among hackers recently. The payment amount varies from virus to virus. For example, GandCrab 5.0.4 authors ask as much as $2,400 in Dash or Bitcoin once victims fail to pay the ransom within a predetermined amount of time. Regardless of how much money XCry ransomware developers ask, do not pay them. Most security researchers advise not to pay the ransom, as bad actors often ignore their victim and never send the decryptor. Therefore, the possibility of being scammed is pretty high. Additionally, it will prove XCry virus authors that ransomware works and they will be motivated to create more sophisticated malware and infect more innocent individuals. To make sure a full XCry ransomware removal is performed, we recommend using adequate software, such as Reimage, Malwarebytes MalwarebytesCombo Cleaner or Plumbytes Anti-MalwareMalwarebytes Malwarebytes, although all other security programs that detect the virus should do the job. 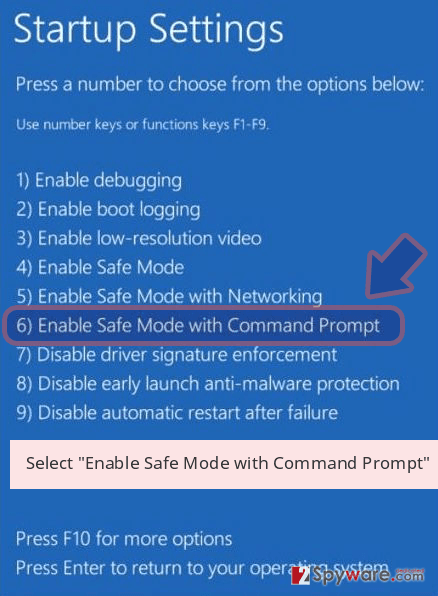 Do not try to get rid of XCry manually, as you will most likely fail. Once you remove XCry ransomware, you can proceed with file recovery. Currently, there is no official decryptor created yet, but if you have backups, there should be no problems. Alternatively, you can check third-party software that might be able to save at least some of your data – we prepared all the instructions below. When installing freeware from the internet, always pick Advanced or Custom settings in order to remove unwanted programs before finalizing the installation. Unfortunately, but retrieving the access to data that was encrypted by XCry virus can be difficult, as no official decryptor is created yet. Nevertheless, you can try alternative data recovery methods – we provide full instructions below, so make sure you check them out. To remove XCry ransomware safely, you should use reputable security tools – Reimage or Malwarebytes MalwarebytesCombo Cleaner might be good choices. 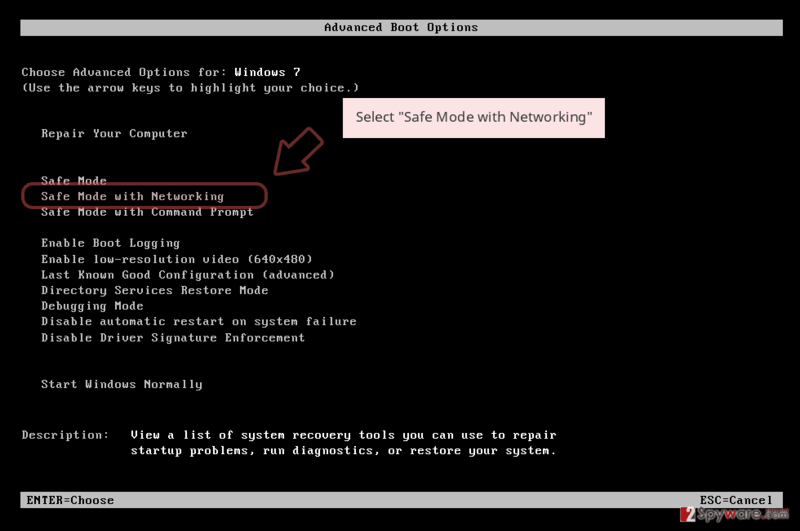 Be aware that some malware can prevent anti-virus software from working correctly. 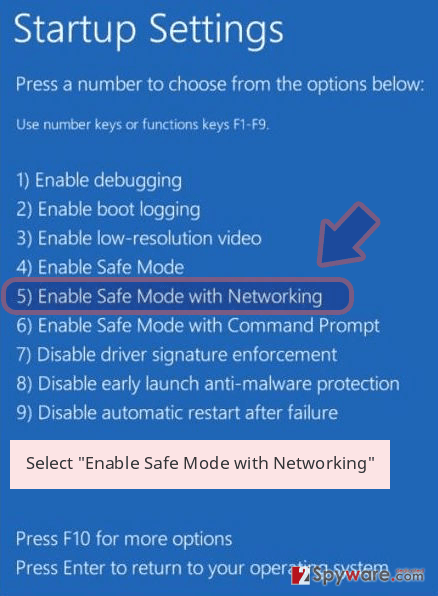 In such a case, enter Safe mode with Networking as explained below and perform full XCry ransomware removal from there. If you are not able to get personal files back after you try the third-party software, we suggest you keep a copy of encrypted data and wait till security researchers create an official decryptor. Note – this process might take awhile. Log in to your infected account and start the browser. Download Reimage or other legitimate anti-spyware program. Update it before a full system scan and remove malicious files that belong to your ransomware and complete XCry removal. 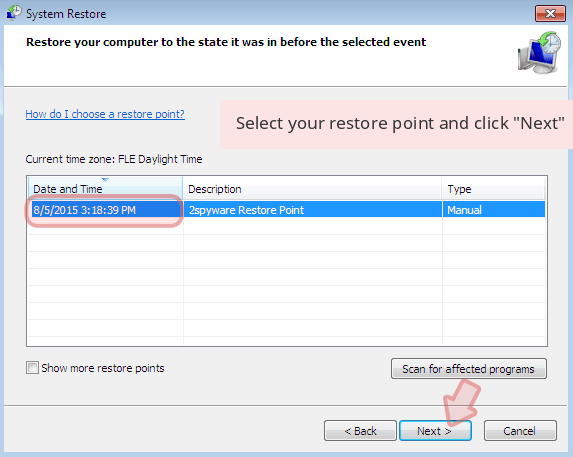 When a new window shows up, click Next and select your restore point that is prior the infiltration of XCry. After doing that, click Next. 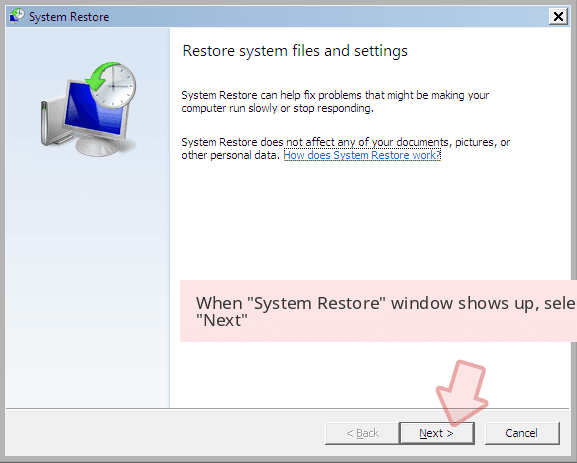 Once you restore your system to a previous date, download and scan your computer with Reimage and make sure that XCry removal is performed successfully. Guide which is presented above is supposed to help you remove XCry from your computer. To recover your encrypted files, we recommend using a detailed guide prepared by 2-spyware.com security experts. 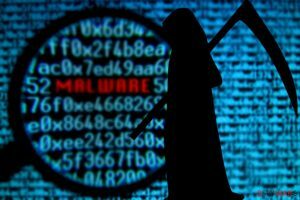 While this tool was initially created to restore files that got accidentally deleted or otherwise corrupted, Data Recovery Pro was also noticed being helpful when it comes to ransomware-infected files. In case you were lucky enough and XCry failed to delete Shadow Volume Copies, ShadowExplorer will be able to help you and get all of your data back. 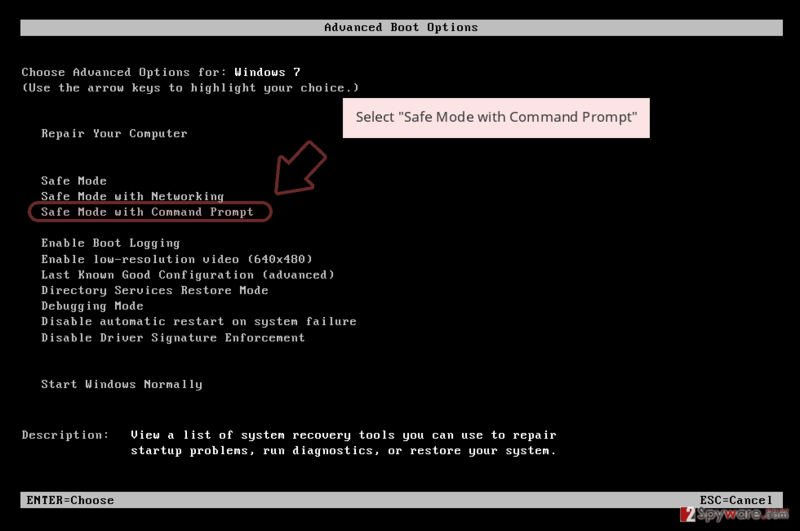 ^ Command and Control [C&C] Server. Trend Micro. Cybersecurity researchers. ^ e32c8b2da15e294e2ad8e1df5c0b655805d9c820e85a33e6a724b65c07d1a043. Virus Total. File and IRL analyzer. This entry was posted on 2019-01-21 at 04:13 and is filed under Ransomware, Viruses. You can quickly scan the QR code with your mobile device and have XCry ransomware manual removal instructions right in your pocket. How did you remove XCry virus?